Vaughan holds an MSc in Construction Law and Dispute Resolution from Kings College, London and is a qualified attorney and director of MDA Attorneys, who has provided commercial advisory services to leading role players in major infrastructure development, water processing, civil, energy, mechanical piping and erection, engineering, petro-chemical and mining sectors for the past 15 years. Vaughan’s expertise lies in the drafting, negotiating and commercial implementation of bespoke and standard form construction contracts (including particularly the FIDIC Suite of Standard Form Construction Contracts (1st Edition, 1999)), managing claims for additional time and / or cost in connection with construction contracts, designing and facilitating training programmes across a spectrum of relevant industry related topics and representing either contractors or employers in alternative dispute resolution procedures (including particularly adjudication, mediation and arbitration). Vaughan is a specialist adjudication practitioner who is regularly engaged in adjudication procedures, representing either contractors or employers and acting as adjudicator. 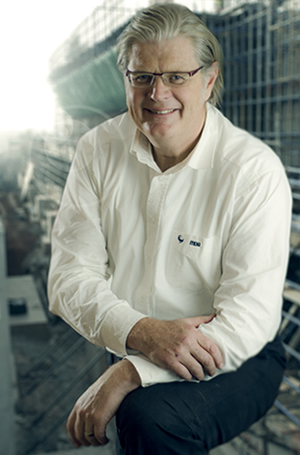 He has together with Professor Maritz (Head of Department of Construction Economics, University of Pretoria) designed the University of Pretoria’s Certificate Programme in Construction Adjudication which he continues to facilitate and lectures on. Vaughan is a regular contributor to international and local publications including the Construction Law Journal, the Journal of Engineering, Design and Technology and the Civil Engineering Contractor. Bachelor of Arts (BA) 1985, Bachelor of Laws (LLB) 1989, University of the Witwatersrand. Certificate in Business Project Management 2000, University of the Witwatersrand Business School. Post Graduate Certificate in Adjudication 2009, Kings College London. MSc in Construction Law and Dispute Resolution (with merit) 2012, Kings College London.